Opel spoke quite a bit about its forthcoming 2018 Insignia Grand Sport and it seems the brand more than ready to challenge others as to what the segment is capable of. Well, it’s here, feast your eyes on the 2018 Opel Insignia Grand Sport. The Opel Insignia Grand Sport rounds out three global debuts to have occurred overnight for us Yanks. The 2018 Holden Commodore went first, followed by the 2018 Vauxhall Insignia Grand Sport, and Opel has closed the global debut acts. The Opel Insignia Grand Sport shares identical features to the Vauxhall-branded Insignia, save for the steering wheel on the opposite side. 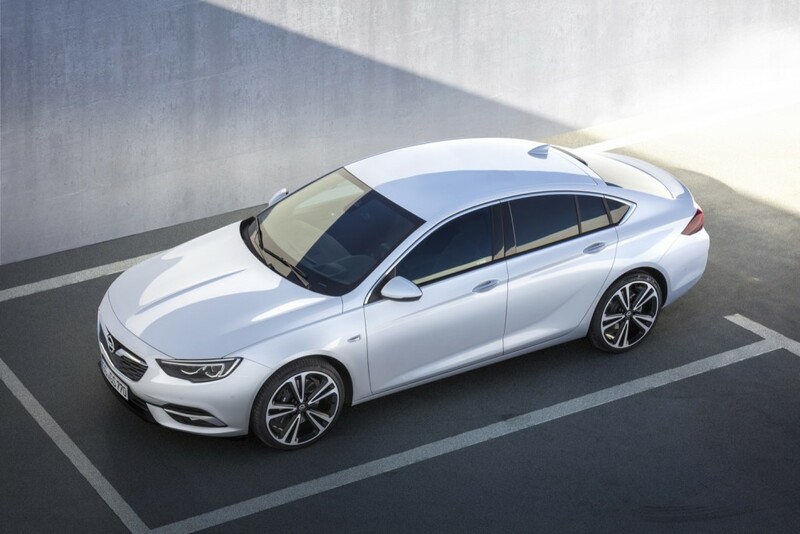 This means the same aerodynamic and sleek looking design is found with the Opel, including a five-door configuration with a liftback. 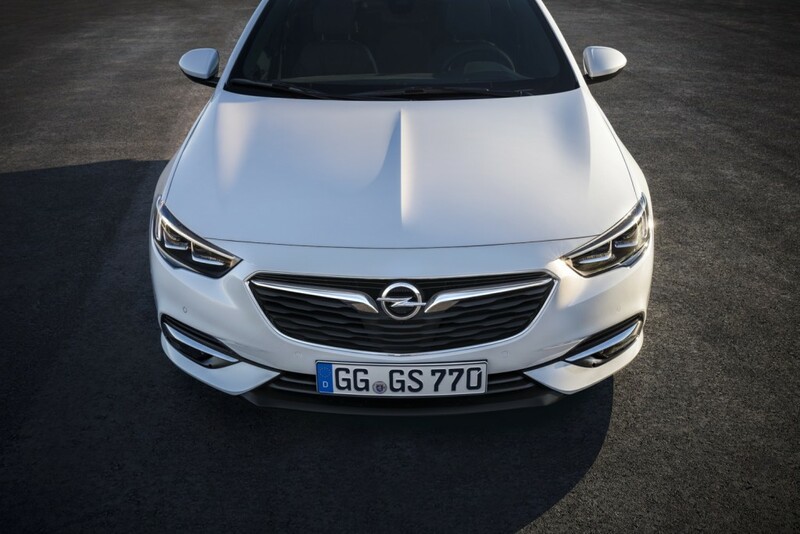 Opel says it worked hard to place the grille and subtract the front and rear overhangs to emphasize its lower slung stance. 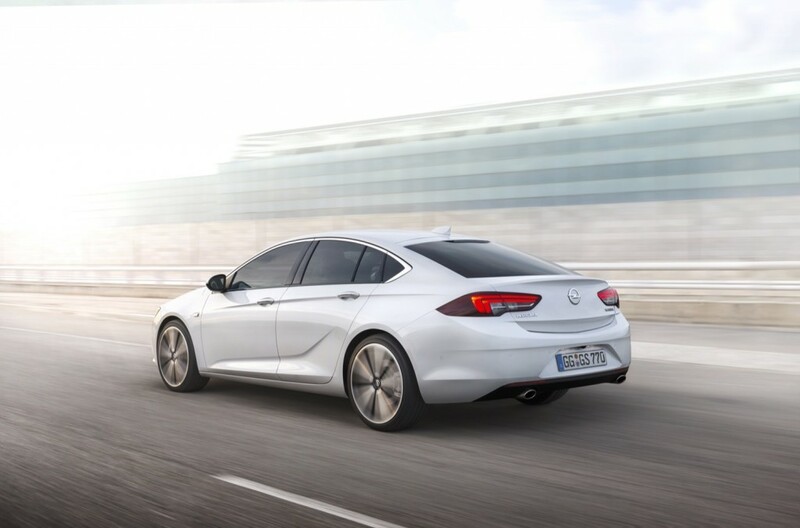 Also like the Vauxhall, the Opel Insignia Grand Sport sheds 386 pounds from its overall curb weight, which will likely play a major factor in its FlexRide chassis and intelligent all-wheel drive system. Opel says the Insignia earned its Grand Sport name by legitimately being a car you want to drive. On the engineering side of things, Opel did not confirm engines but did tout a new eight-speed automatic transmission and “Twinster” all-wheel drive system. The FlexRide chassis will also provide Standard, Sport and Touring modes for drivers, each calibrated accordingly. Standard will adapt automatically to driving conditions, while Sport takes on a more aggressive driving profile, reducing brake dive and tightening up the chassis further. Inside the Insignia Grand Sport, the cockpit as been shifted lower for a more engaging driving experience, and Opel says it has redesigned the center console to give the effect of a higher end vehicle through careful material choices and craftsmanship. Once again, we also see the frameless touchscreen in action, which seems to be a new staple for Opel. It also looks mighty fine. Unlike the 2018 Commodore, which overall shrinks from the outgoing car, the Opel grows. Hip, shoulder, knee and headroom all grow to accommodate the driver and passenger better . If the design is a testament to what Opel is capable of, the technology is also meant to flex the brand’s prowess. The 2018 Insignia Grand Sport will arrive with a slew of active safety features and driver assistance technologies. They include a head-up display, 360 degree camera, adaptive cruise control, lane keep assist with lane departure warning and rear-cross traffic alert. If it’s comfort you seek, Opel has you covered, too. The ergonomic “Aktion Gesunder Rücken” (Campaign for healthy backs) seats are heated, ventilated and massaging. Rear seats may also be equipped rear end warmers, too. And if you thought Opel wouldn’t mention OnStar, you’d be incorrect. OnStar is alive and well with the Insignia Grand Sport and will also launch a new concierge service for drivers. The “Personal Assistant” will be able to book hotel rooms and more. Opel has primed the machine for a major launch. After we take all of this information in, we’ll see the 2018 Insignia Grand Sport in all its glory come the 2017 Geneva Motor Show in March. no to bad….. but! waiting other new pictures. looking at the pictures it is not the quality of VW Passat. I can not even make a mistake by looking at the images Did Gm is currently still in its strategy for saving and profit from it. whether it is better than the car Skoda Superb, we still have to wait. the most important thing is that what is the quality, and we will see later. Looks pretty cool up front, but I’m getting a Honda Cross Tour vibe from sother pics I’ve seen of the side. Is the rear quarter glass a big plastic panel like the first gen Cruze? That would be cheesy. This settles it, the next gen Regal will definitely be on the top of my list for my next car, I just hope we get a manual if there is one for Opel. I was hoping we would get the Astra here too but that remains a mystery. I would prefer to get a GM hatch but the cruze doesn’t have AWD. I think what GM can do is take a page from Subaru and raise the Cruze and Astra to make a crossover like what Subaru did with the Impreza and the Cross trek or what Mercedes did with the A class hatch back to make the GLA. it will have enough power to be a Grand Sport. The 2.0T should be the minimum engine in the Regal GS. The base Regal can be smaller if they want. that comes later, if at all. The Tuners in the Buick Regal forum, probably want the turbo anyway.